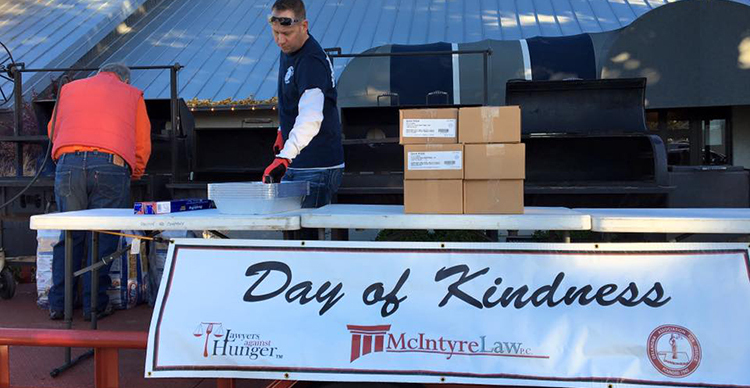 McIntyre Law Gives Back: 2015 Year in Review - McIntyre Law P.C. McIntyre Law is part of your community. Our community. That’s why in addition to working diligently to help our clients recover from personal injuries, medical malpractice, defective drugs and medical devices, and other harms, we also put time and effort into giving back — to everyone. In May of last year, McIntyre Law held a blood drive at our offices. Regardless of what blood type you are, there will always be someone in need. Just a single pint of blood can save up to three lives — so, we think it’s worth it to help the American Red Cross collect and store as much as possible. Does Oklahoma need more lawyers? There’s always room for up-and-coming talent, which is why the Oklahoma Association for Justice, headed by our own Noble McIntyre, presented Moore High School students with the funds they needed to travel to and participate in the 2015 National High School Mock Trial Championships. There, students acted as attorneys, witnesses and other courtroom figures to role play exactly how a case would be adjudicated in an actual court of law. The contributions of McIntyre and his colleagues gave students a chance to really show their mettle, which could lead to opportunities and scholarships down the road. Families who struggle with hunger are especially in need during the holiday season. While hunger is a year-round problem for too many Oklahomans, once the weather gets cold, some families go without because they are choosing between food and utilities. 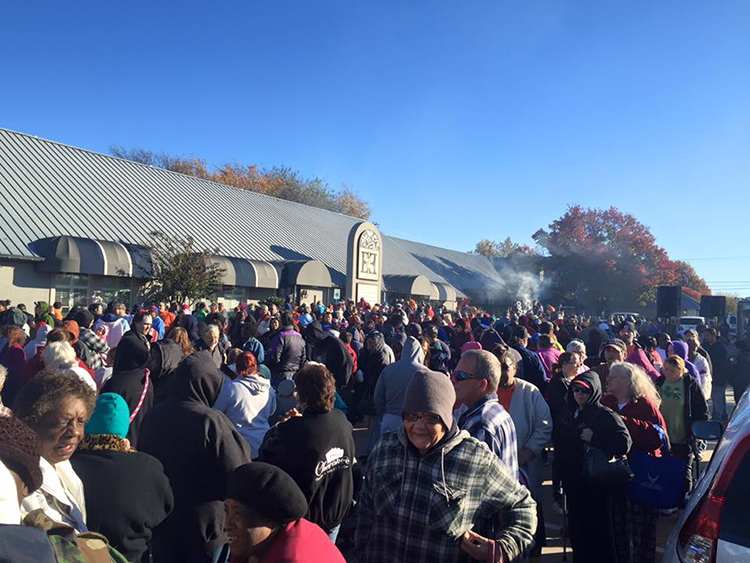 That’s why, for the sixth year in a row, McIntyre Law has been distributing 5,000 turkeys to families in need for Thanksgiving. That’s right—5,000 turkeys. 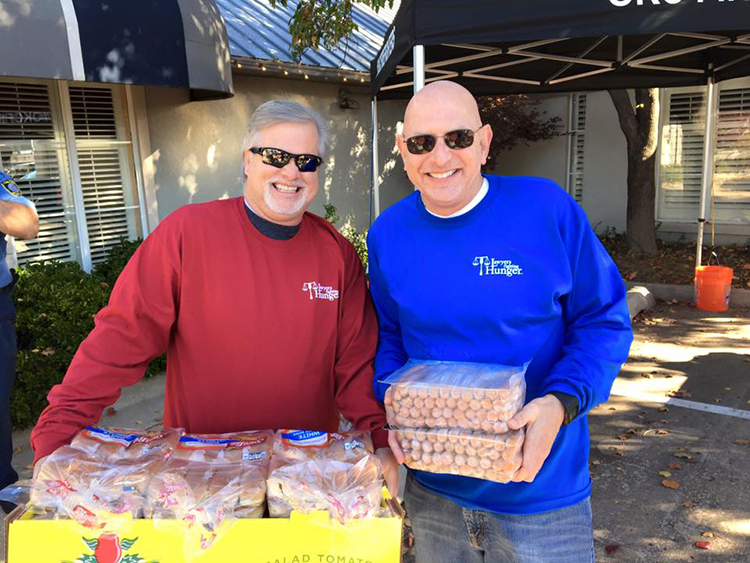 The firm partners with the Regional Food Bank of Oklahoma and the lawyers in the Oklahoma Association for Justice to form “Lawyers Fighting Hunger”, which raised more than $100,000 to provide these turkey dinners to families in need. This was more than just a giveaway… it was an event. When families arrived, they received free hamburgers, hot dogs, bottled water and soda, just for being there. There was face-painting and entertainment for the little ones who stood on line with their parents, and a great day was had by all. In order for the turkey dinners to be accessible to as many families in need as possible, we hosted giveaways in Oklahoma City, Norman, El Reno, Mustang and Tulsa. As for the McIntyre Law team, we just love being able to help in any way we can. Through our day to day work, we’re always trying to make people’s lives better on an individual level. Through our charitable contributions, though, we’re striving to make the community better. Here’s to a great 2016!